Please Join us for our annual Hearts of Remembrance events this holiday season. This is an opportunity to celebrate, reflect and honor someone you love. If you have experienced loss in your life, please join us for one of these evenings of remembrance and give yourself the gift of this strengthening love. 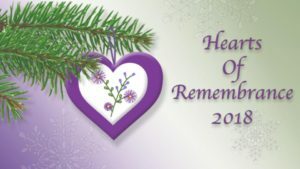 If you wish to make a donation in remembrance of someone, you will receive a wonderful, handcrafted heart ornament as a keepsake. The names of those you wish to honor will also be read at the location you designate. 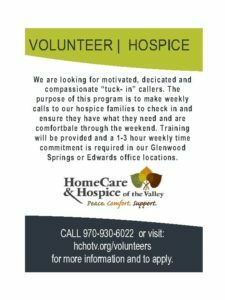 All contributions will benefit Hospice of the Valley to ensure, excellent, compassionate care, for everyone in our community. Please know that by donating, you will help another family through the hospice journey.